Wow, my last post was in August right after the opening of my show. You may think I am quite the slacker, but that is not the case. I just moved out of heavy internet promotion mode back into school/making art mode. I gotta admit, I like this better. 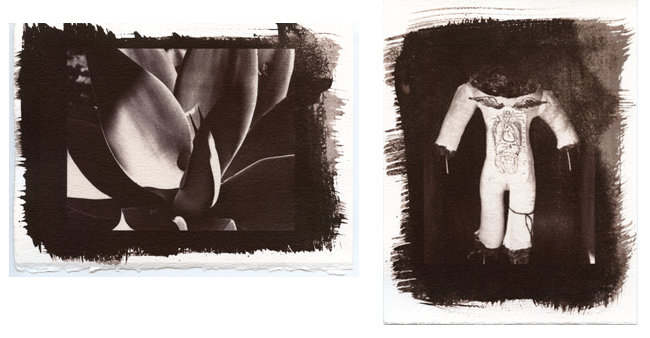 Photo 92 - Alternative Processes! Before I go any further, maybe a brief explantion of what alternative processes are would be helpful. Basically we are making prints outside of the darkroom by coating watercolor/printmaking paper with various chemical solutions and then laying a negative on top and exposing the print in the sun or a UV box. FUN! These are contact prints, so the final image is only as large as the negative you use, so you really need to have a large format camera. (I'm giving you links - learn as much as you like!) And so we would have negatives to work with, we started the class by building our own 4x5 cameras! And while that was fun to build, I didn't have a lot of success shooting it. Hard to focus, no shutter, and I was using lith film which is like ISO 8. Fortunately we have now moved on to making digital negatives and I am getting better results with my prints. 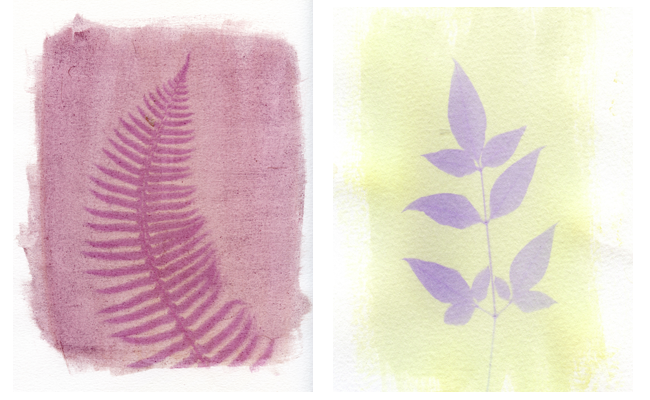 On the left is a cyanotype photogram. On the right a 4x5 negative. Not a great example, move along please. The left print was made with an emultion of blackberries and the right print was made with pansy petals. Exposure time was 1 week for these! Man, I have had no luck with my gum prints. This was my first print and an experiment using acrylic paint instead of watercolors. Now that I have some better negatives to use, I will try again in the coming weeks. 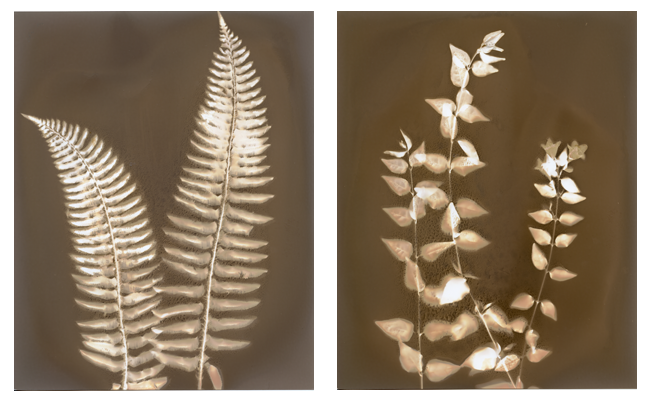 These are pretty fun and easy to do, just photograms on regular darkroom photo paper. The top two images are on B&W paper, while the bottom two are on color paper. After all the grief gum printing has given me, it was nice to finally have some sucesses with a new process. Using digital negative created specifically for the salt process, I am getting beautiful results! Today we started working with Liquid Emulsion. As you might have guessed, I am loving this class! The semester is going to end too soon. If you want additional information about any of these processes and more, the Alternative Photography website is a treasure trove of information. Also, I have been posting my scanned prints to flickr. You can check out the set here. In other news, I had one of my submission accepted in the annual juried show "Twelve: Square" at Viewpoint Photographic Art Center. Show dates December 5, 2012 to January 5, 2013. See you then!